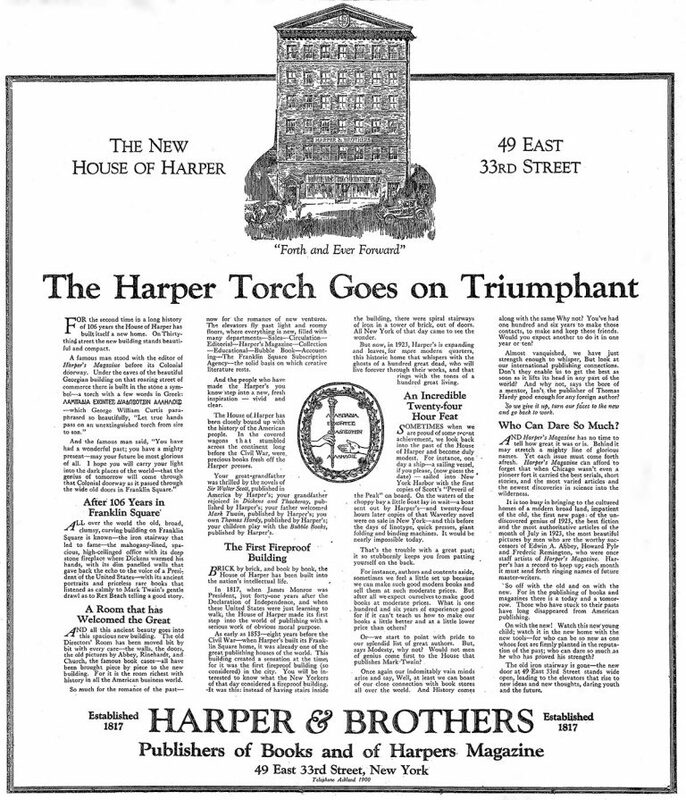 A 1923 New York Times advertisement placed by Harper & Brothers regarding its move from Franklin Square to 49 East 33rd Street in New York City. 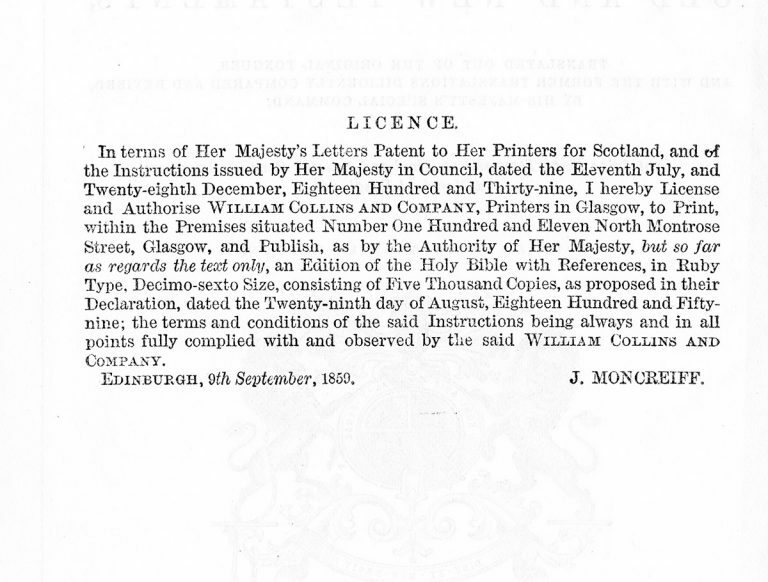 James and John Harper began their business in 1817 primarily as printers, although they soon began to publish and sell original works. 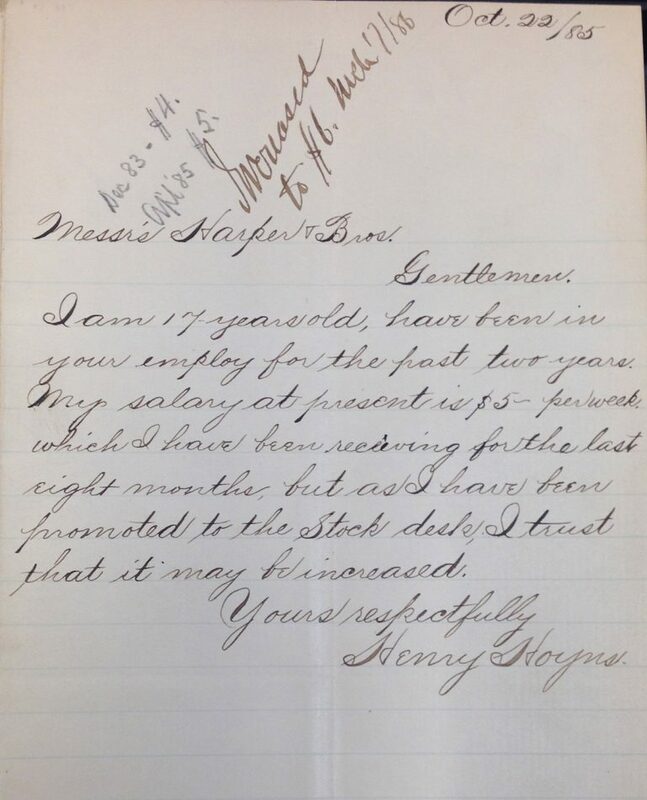 But after more than 100 years in the business, in 1923 Harper & Brothers turned away from printing to concentrate solely on publishing. This effort to be more focused and efficient was a fortuitous and in some ways prophetic business decision, given that the concept of a book is today much less tied to physical materials like paper and ink. Audiobooks and e-books have since expanded the ways in which people can access great literature. 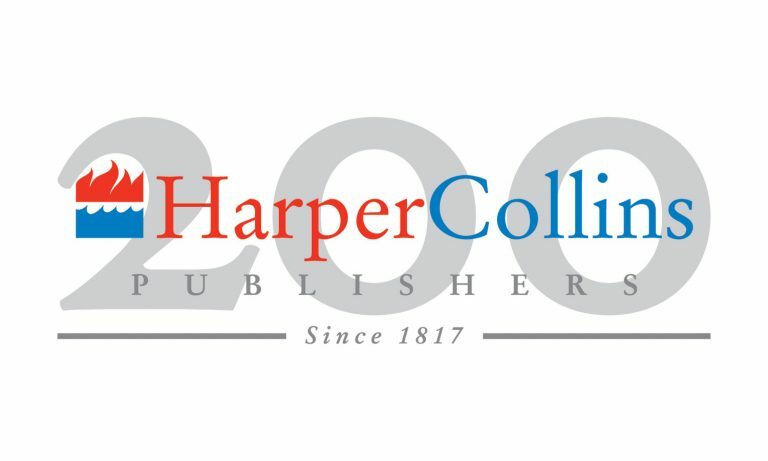 With its storied history of pioneering printing technology and commitment to best-in-class printing and binding that began in 1817, HarperCollins has today moved beyond paper as the sole vehicle for the written word, ensuring a quality product that readers want to have regardless of medium.